The answer is likely due to brain anatomy. 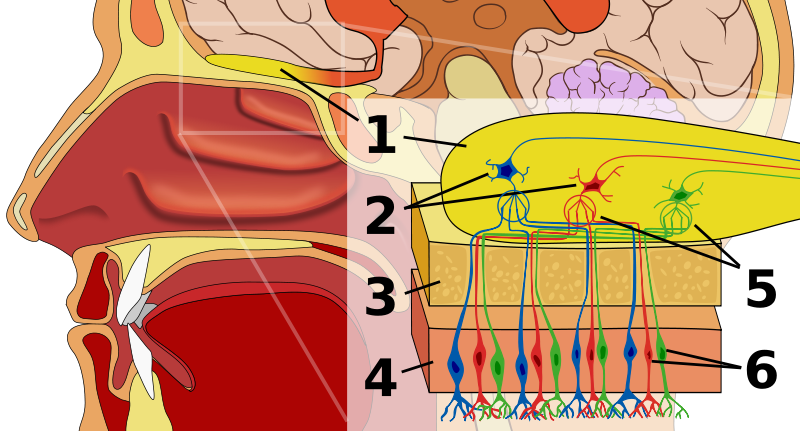 Incoming smells are first processed by the olfactory bulb, which starts inside the nose and runs along the bottom of the brain. The olfactory bulb has direct connections to two brain areas that are strongly implicated in emotion and memory: the amygdala and hippocampus. Interestingly, visual, auditory (sound), and tactile (touch) information do not pass through these brain areas. This may be why olfaction, more than any other sense, is so successful at triggering emotions and memories. A decade ago, Herz and colleagues at Brown University tested whether there was a correlation between the emotional intensity of a memory triggered by a smell and activation in the amygdala. Participants first described a positive memory triggered by a particular perfume. 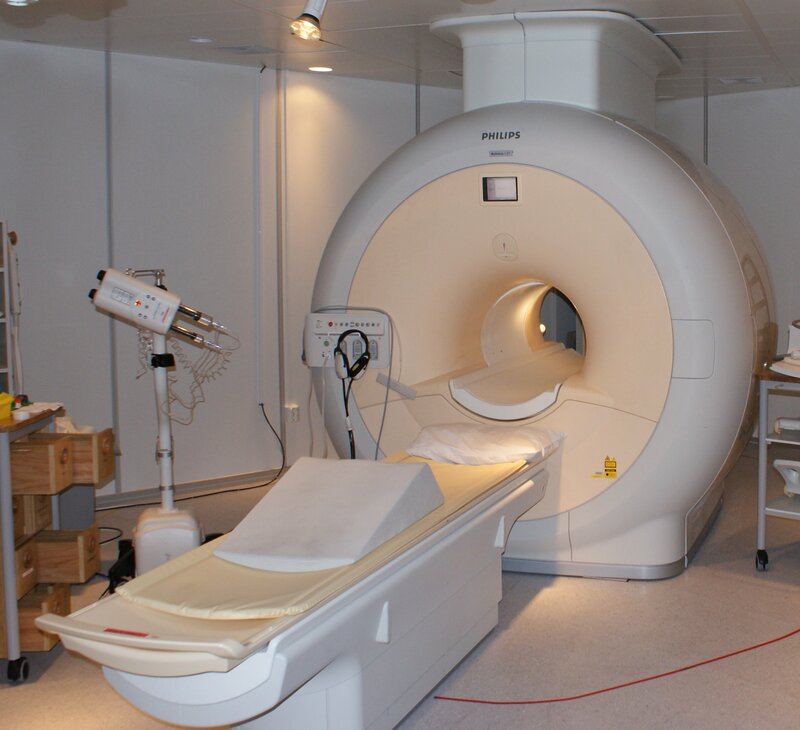 Participants then came in the lab to participate in an fMRI experiment. While in the scanner, participants were exposed to sequences of both visual and olfactory stimuli. The visual stimuli included an image of the participant’s chosen perfume bottle (the experimental visual –“ EV”) and an image of an unmarketed perfume (the control visual – “CV”). The olfactory stimuli included the participant’s chosen perfume (the experimental odor –“ EO”) and the unmarketed perfume (the control odor – “CO”). (Sometimes in research, you have to do strange things. This may include going to Bath & Body Works to purchase a bottle of “Juniper Breeze.”) If the stimuli triggered any memory or emotion, participants were instructed to hold that in their mind until the presentation of the next stimulus. When smelling the EO, participants showed the greatest activation in the amygdala and parahippocampal gyrus (a region surrounding the hippocampus). These data suggest that odors that trigger strong, emotional memories also trigger elevated activity in the brain areas strongly linked to emotion and memory. However, it is important to note that only 5 individuals participated in the study, and all were female. Studies with a larger sample size and with both males and females will be needed to confirm these findings. A number of behavioral studies have demonstrated that smells trigger more vivid emotional memories and are better at inducing that feeling of “being brought back in time” than images. However, few studies since Herz and colleagues’ study have explored the relationship between smell and autobiographical memory at the neural level. Last year, Arshamian and collegaues found evidence to suggest that memories triggered by an odor (like the scent of a rose) were accompanied by greater activity in the limbic system (which includes the hippocampus and amygdala) than memories triggered by the verbal label of that odor (like the word “rose”). The scientists also found that memories evoked by odors were linked to more brain activity in areas associated with visual vividness. Unfortunately, smells can also be potent triggers of negative emotions, particularly in individuals with posttraumatic stress disorder (PTSD). A decade ago, Vermetten and Bremner conducted 3 clinical case studies of individuals diagnosed with PTSD who experience this phenomenon. One patient frequently experienced disturbing memories, feelings of guilt, and nausea when smelling diesel. These involuntary reactions were so upsetting to him that he actively avoided situations in which he might smell diesel (like driving behind trucks). On one occasion, the smell of diesel from a neighborhood fire instantly conjured the memory of an accident in Vietnam. In his mind he could vividly see the burning vehicle, doors ajar, and billows of fire and smoke. The patient couldn’t save his fellow soldiers that day. The smell of diesel frequently caused him to re-experience the overwhelming feelings of guilt and helplessness that he initially experienced more than 30 years ago. Individuals can have widely divergent emotional responses to scents that are identical in chemical composition. 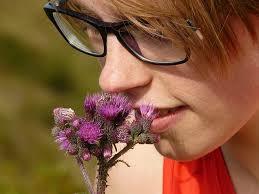 There is also evidence to suggest that what you think you’re smelling affects your response to an odor. In 2001, Herz and von Clef found that participants rated an identical odor as more pleasant when it was presented with a positive label (“parmesan cheese”) rather than a negative label (“vomit”). Unlike other animals, we humans have evolved to rely most on our sense of vision—but your sense of smell may be more important than you think. I hope your autumn is full of good smells, good feels, and good memories! Herz RS, Eliassen J, Beland S, & Souza T. Neuroimaging evidence for the emotional potency of odor-evoked memory. Neuropsychologia 42 (2004), 371-378. Herz RS & von Clef J. The influence of verbal labeling on the perception of odors: evidence for olfactory illusions? 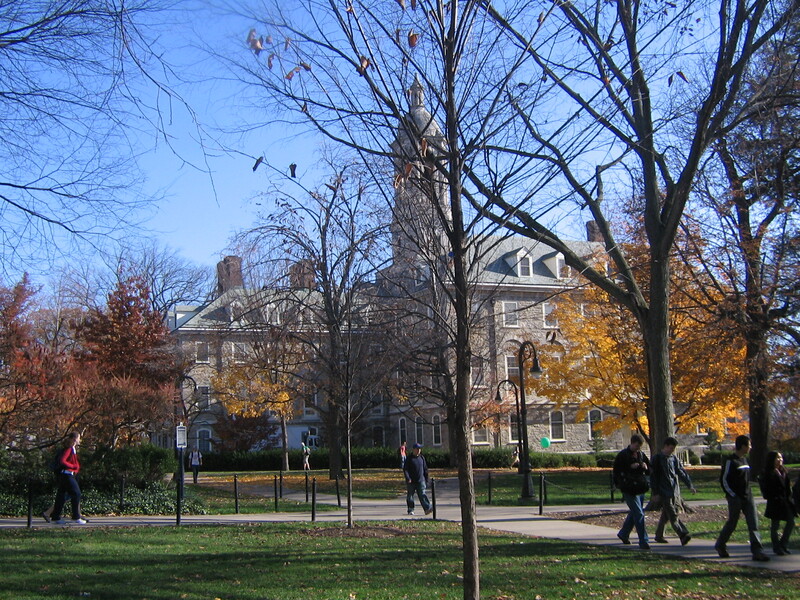 Perception 30 (2001), 381-391. Vermetten E & Bremner JD. Olfaction as a traumatic reminder in posttraumatic stress disorder: case reports and review. The Journal of Clinical Psychiatry 64 (2003), 202-207. Pingback: Wedding Ideas » 5 Unique Gift Ideas You Just Can’t Miss! keep bringing more and yes the best perfume for women is Buy Coco Chanel Mademoiselle Perfume.